Has already turned onto it? Hire a car at Lisbon Airport and spend the whole day, reviewing the history of Lisbon beer. 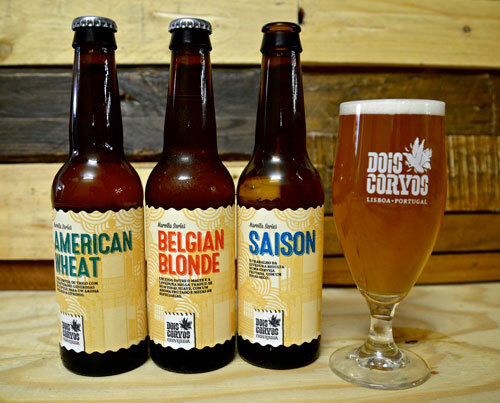 Dois Corvos was the first brewery in Lisbon, founded in October 2013 by a married couple. In June 2015, the first beer was served in this brewery. Here you can try a wide range of delicious beer, which is accessible to all. Whether it is classic brewing style, or some unique recipes, only the best ingredients are used. Rich British malt are used for the dark beer, for a 7% pale ale- the freshest Belgian yeast. For the India pale ale, the fruity American hops are brought. Their handcrafted beer, made up at the 850-liter brew house, is having its own beer making tradition. Every recipe was completely created in that Lisbon brewery, and they are sold under the Dois Corvos label. The malt and hops are mixed by hand in the tank, (which is a hard work), giving soul to the final product. There are 1700 and 850 liter fermentation tanks at the production brewery. 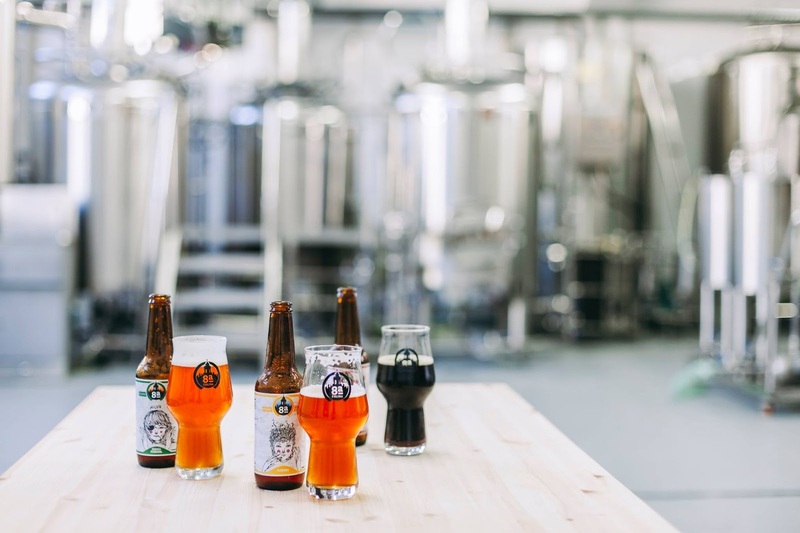 Almost any style of beer could be made at this brewery. In order to emphasize the type of beer, which would be brewed there, much of the brewery was assembled and designed by the owners of the brewery themselves. The mechanical systems were designed with the help of many professionals. The equipment was bought not only in Portugal, but also in the United States, Italy, Germany, England, Spain and some other countries. The newest techniques and new ingredients are always tested in Dois Corvos. The special experimental beers are released, to create something unexpected and catchy. The brewery is having the so-called “tap room”, which used to be a winery. 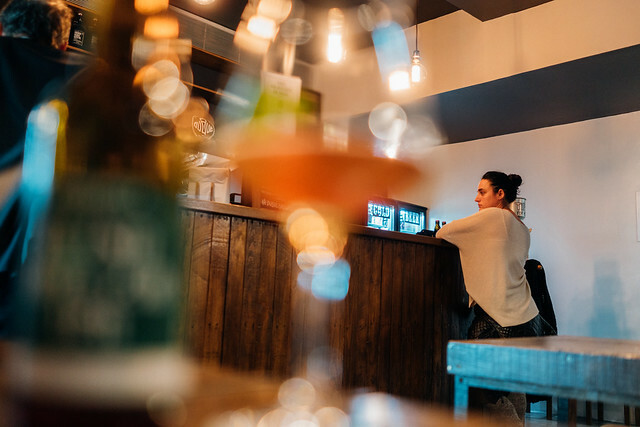 Now, it is a place, located near the Port of Lisbon, where you can sample the beer by taste, watching the brew house and the fermenters, while enjoying your beer. You may decide the volume of the beer between flights, tasters, pints and half pints. Dois Corvos is also having some merchandise, which you can take home with you. Oitava Colina is one of the best breweries in Lisbon. Here, on Saturdays, you are having an ability to come for an excursion and tasting. You will see the real beer micro operation and taste 3 types of their standard beer- a lager (Florinda), a porter (Zé Arnaldo) and an India pale ale (Urraca Vendaval). In addition, you will be able to try the type of beer, which is only going to be sold in future. During the visit to Oitava Colina, you will find out more about the Portuguese brewery ecosystem. You will be told about the ingredients and the production process. If you are interested in the context of micro-brewery in Portugal, you should enter the list of visitors for the Saturday tours on their site in advance. The brewery is located in the Graca district, which is a part of Lisbon region. The founders of the brewery wanted to develop a brand that would reflect its origin (the translation of the brand name is “the eighth hill”). “Lisbon is called a city on seven hills. However, there is also the eighth – the Graca Hill, where our brewery is situated. This is the place, where we get the inspiration and brew our beer”, – say the creators of Oitava Colina. The main characters of the brand, which could be seen on the caption strip of the bottle, came from the old tales. Once they inhabited the Graca Hill. They are having bright personality, as well as the Oitava Colina beer. The characters were created by the street artist Gonçalo Mar. Duque brewpub was opened in 2016, inspired by Pátio da Cerveja. With the help of Vitor Faria and Pedro Lima (the owners of Aroeira beer brand), Duque brewpub became the first brewpub in Lisbon. The partnership with Aroeira and Cervaja brands was very beneficial and successful. Now, the production quantity is about 750 liters a month. There are nine taps with their own beer and several other Portuguese craft beers. In addition, you may buy about 55 types of bottled beer of different labels. The tapas, sandwiches and some other snacks, made up from fresh local ingredients, are also served there. They could be enjoyed with the beer, inside the pub (which is a bit small, though). That is why many visitors prefer the outdoor terrace, which is quite comfortable, especially considering the fact that the brewpub is located in the center of Lisbon. Their own Belgian style brown ale beer on tap is very tasty and worth trying. The staff is knowledgeable and friendly. Each beer lover should visit Museu da Cerveja in Lisbon. This is the Beer Museum on the Praça do Comércio square, where you are able not only to learn about the Portuguese, Brazilian, Angolan, Cape Verdean, Mozambiquean beers, but to try them as well! People are coming from the other countries just to try a couple of rare beers, which are hard to find. You will find out about the beer production from the first century AD in Lusitania and until the modern days. You will see the theme postcards, beer maps and bottles, watches and keyrings, openers and cups. The museum glistens with the beer bottles of various sizes and shapes. In addition, the audiovisual displays, unusual vintage posters and different amusing objects would keep you there long. In the museum, you would also hear more about above-mentioned chain of beer-serving ‘Portugália’ restaurants. In one of the low-lit rooms, down a dark corridor, there is a reconstruction of a monastic brewery, where a ‘monk’ from the 16th century would offer you a sample of beer. With the production quantity of about 2000 liters, the restaurant on the ground floor offers all types of brews – most of which are shown in the museum upstairs. If you would like to sit outside and to try some traditional Portuguese cuisine- there are umbrella-shaded tables near the museum building (right on the spacious Praça do Comércio square, together with many other trendy restaurants).